Mike Lee is the founder and CEO of Studio Industries, a food design and innovation agency, specializing in the application of design thinking to food products and experiences. 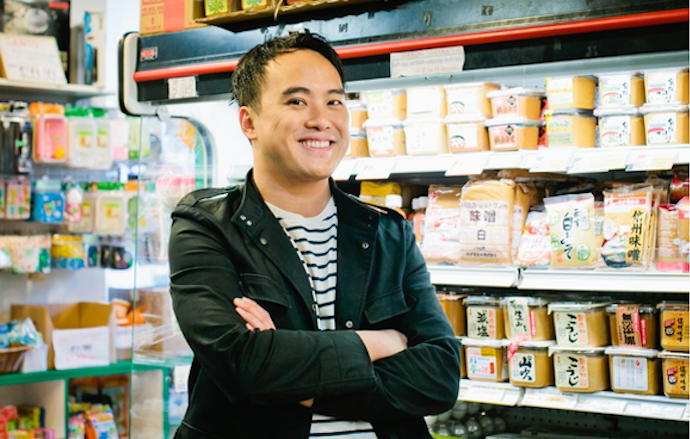 Mike is also the founder of the Future Market, a conceptual grocery store that illustrates what the world, our food, and our retail experiences could look like in the year 2065. The Future Market is a project that aims to enhance how the food world innovates today, by thinking more ambitiously about tomorrow. Mike’s experience in food design and innovation has covered a wide range over the past ten years. Most recently, Mike led product development initiatives on the Innovation and New Ventures team at Chobani. At Chobani, Mike focused on building out the Greek Yogurt maker’s product platform into new categories and he drove the product design process from research, insights, and ideation, to food, flavor, and packaging development, and then finally to business planning and production. Mike also led the development of the company’s innovation pipeline process, which impacted both the company’s product development methodology as well as the culture of innovation across all employees. Mike also founded the Studiofeast underground supper club, a sister organization to Studio Industries. The Studiofeast project acts as a conceptual test lab for Studio Industries and provides a platform with unlimited creative freedom to explore new ideas in food. Mike is a Detroit native and was trained in business at the University of Michigan and design at the Parsons School of Design. He now lives in Brooklyn, New York.